Valley of the Latte delivers a unique and once in a lifetime experience. 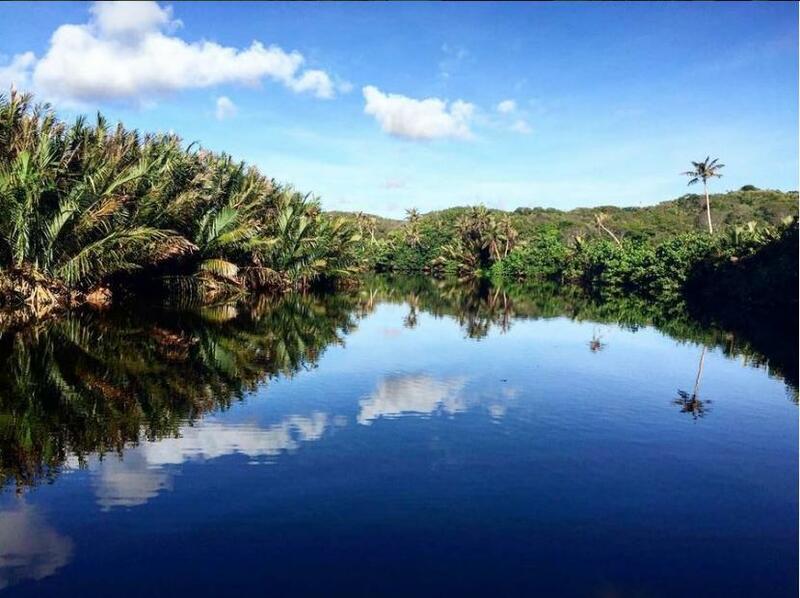 As you travel along the Talofofo and Ugum Rivers, you will be transported to another time at the heart of Guam. Knowledgeable, friendly, and entertaining guides will share the rich history and culture of the Ancient Latte site, the local waters, the local wildlife, and ensure that you are smiling from start to finish. You will be welcomed by our living village, and guided through a breathtaking botanical garden and watch as canoes are hand crafted by Ulitao. The experience only gets better as our guides demonstrate how ancient Chamorros started their fires and show you traditional basket weaving techniques. The longer you are here, the more you realize, that this is the best way to experience Guam. 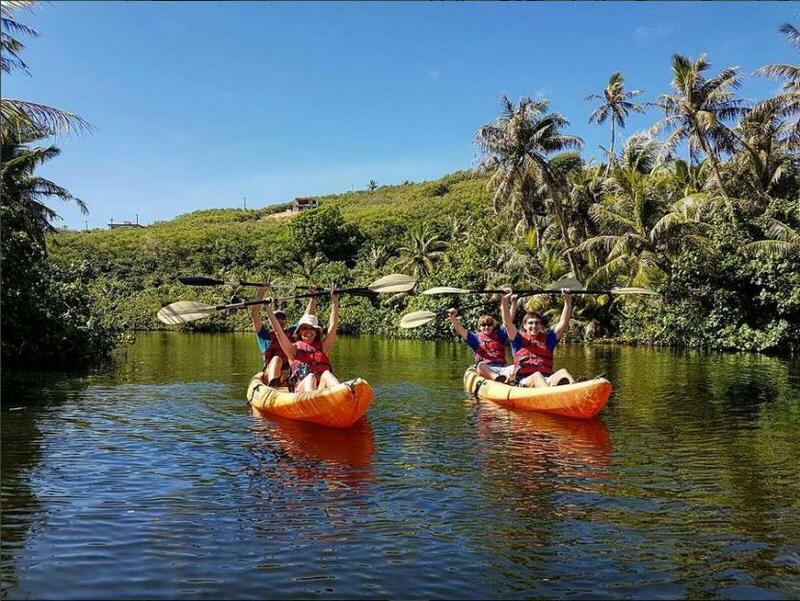 Valley of the Latte is Guam’s most popular eco-friendly destination, providing excellent service and quality, fun-filled activities for travelers of all ages. Valley of the Latte was awarded the Golden Latte Award for the Most Outstanding Optional Tourism Tour on Guam 2016 and the Certificate of Excellence 2017 from TripAdvisor. The Valley is the place chosen by the people of Guam to celebrate the rich cultural heritage of the island and share it's beauty with visitors of all ages. Over the years, thousands of guests and visitors to Guam have loved exploring the heart of the island and the Talofofo and Ugum rivers with us! We take pride in being Guam’s only true eco-friendly and sustainable island extravaganza filled with all of the adventures one can imagine on land and in the waters. The Valley offers a variety of safe and exciting tropical adventures for the intrepid traveler, romantic couple escape, or childhood adventure of a lifetime. It is sure to keep you returning for more. We have also served as venue to special days such as weddings, school field trips, birthdays, company retreats, and more. 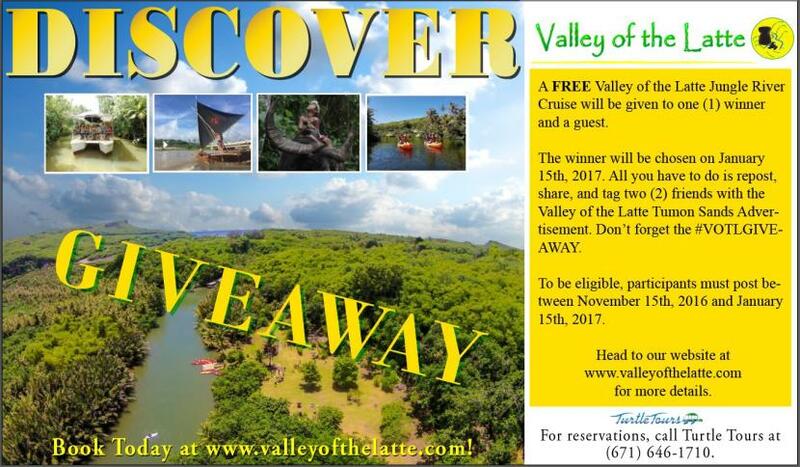 Feel free to email info@valleyofthelatte.com for more information and if you have any questions. VALLEY OF THE LATTE SUMMER GIVEAWAY! One (1) Winner will be selected on July 31st. The winner gets to bring one (1) Guest! On this Adventure, the winner and his or her guest will enjoy an Adventure River Boat Cruise, the choice of either Kayaking or Stand Up Paddle Boarding, and a delicious Fiesta Style Lunch. 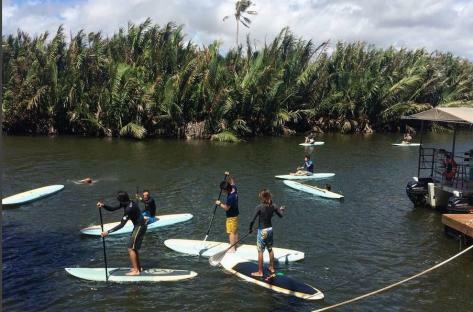 Anyone participating in Kayaking or Stand Up Paddle Boarding must be 12 years of age or older. Post your favorite image of Valley of the Latte! Maybe you saw something on our profiles that you really liked or maybe you visited us and would like to share your own photos of the Valley of the Latte; either post will work. This contest is sponsored by Valley of the Latte, Talofofo Bay, Route 4, Talofofo, Guam. 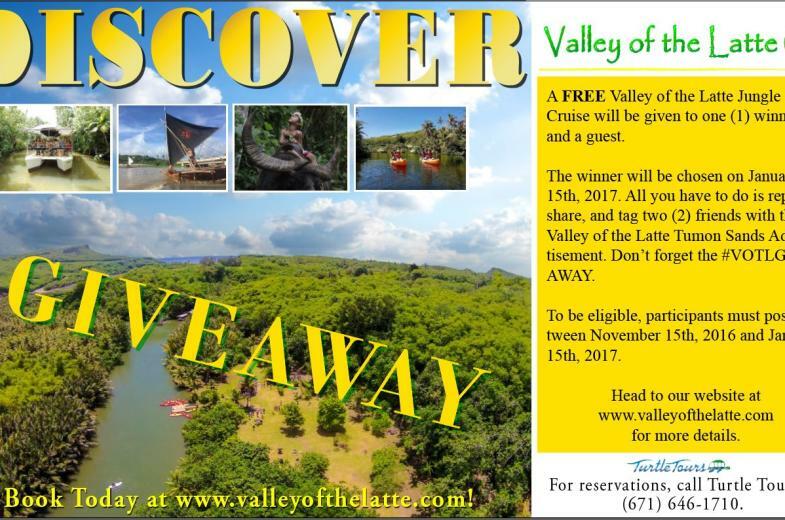 Email info@valleyofthelatte.com for more information. Adventure River Cruise – Guam’s only specialty inland boat tour on Guam featuring the serenity of the Talofofo River and focusing on Guam’s culture and wetland preserves. 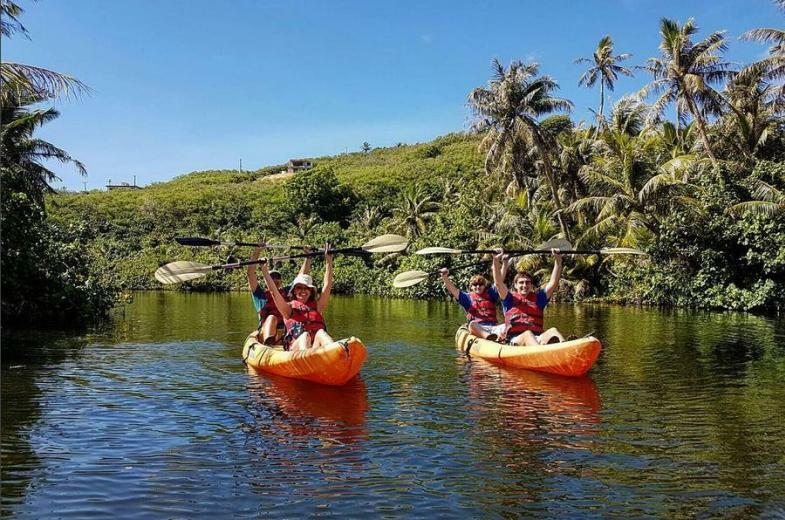 Kayak Adventure Tour – Grab a friend and jump in a two person Kayak to explore two of Guam’s exotic tropical rivers up close. 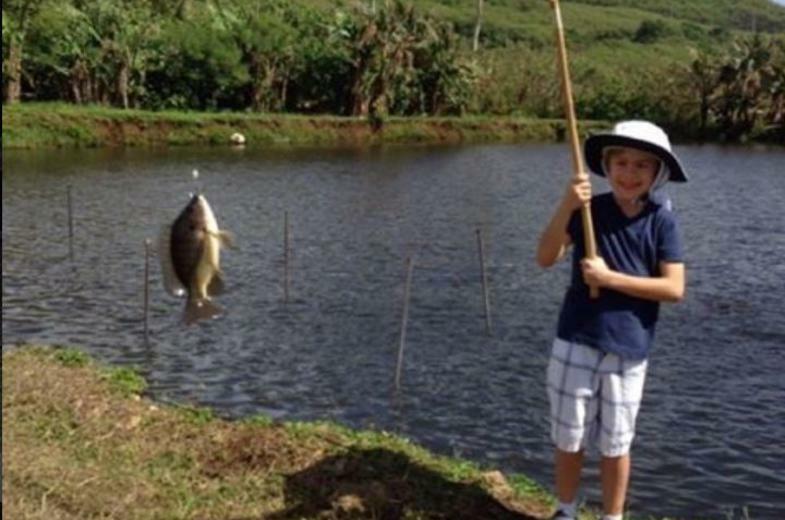 Adventure Fishing – Around the trails, you will find sustainable fisheries and a catch and release adventure. 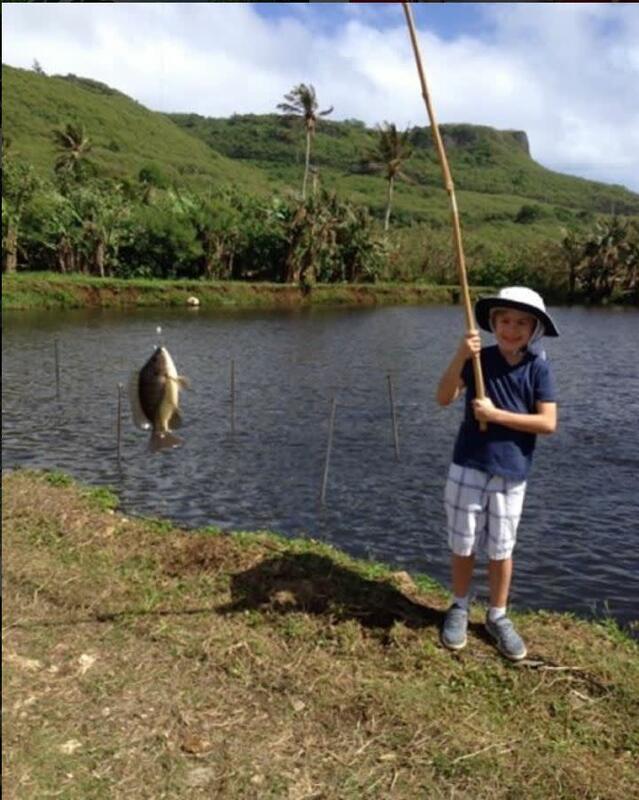 Catch your first fish with bamboo poles and lines after learning how to bait your hooks. You’ll find yourself having a great time. 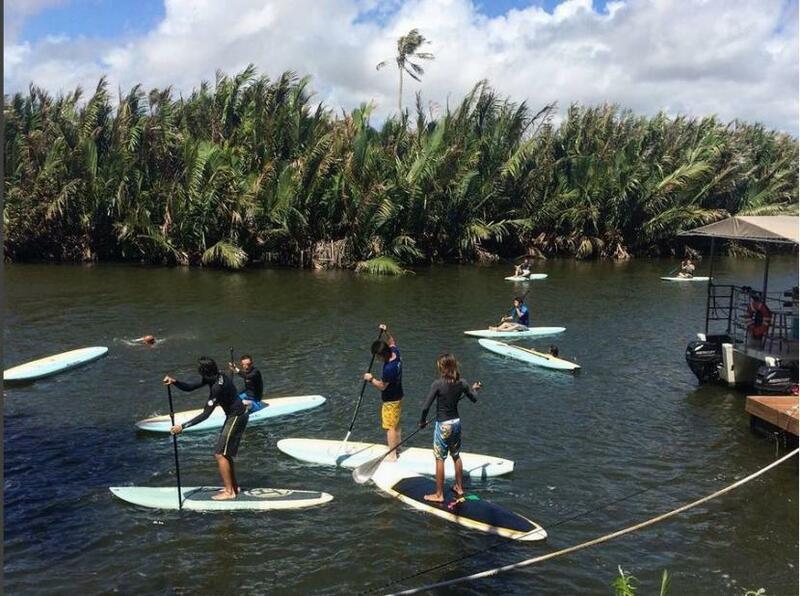 Stand-Up Paddle Boarding – Paddle Boarding offers an amazing experience through the heart of the Valley’s rivers and since you’re standing at your full height, you’ll enjoy excellent views of the Valley and all its wonder. It’s almost like walking on water! Carabao Riding – Enjoy a fun way to traverse the Valley. Just as the ancients did long ago, you can explore the Valley of the Latte Adventure Park on the backs of friendly Carabao. 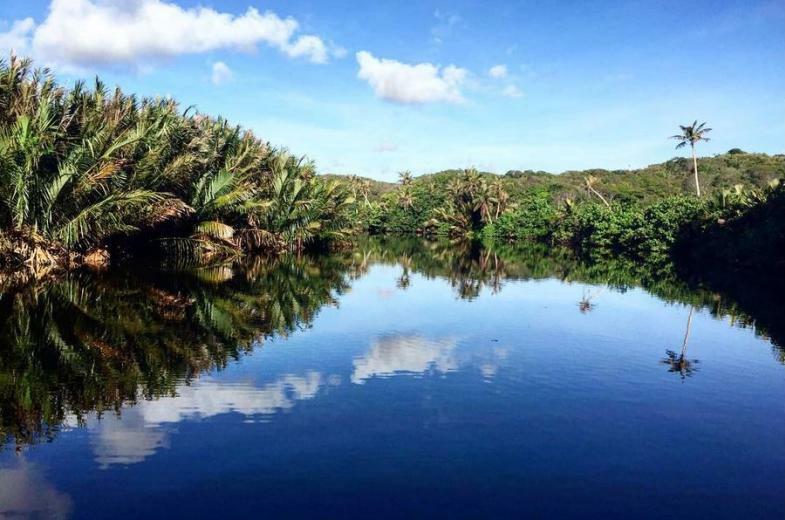 Botanical Garden Tour– Take a stroll and you’ll see the the natural beauty of Guam’s flora, fauna and historic past throughout the Valley, through the plantations, and along the waters and cliffs. A beauty that should not be denied for the eyes. Basket Weaving and Fire-Starting – It’s not all breathtaking excitement and unforgettable journeys. The Valley of the Latte Adventure Park offers a real look into the daily lives of the ancient Chamorros and will share culture and daily activities first-hand. You will arrive looking for adventure and leave with so much more. Plantation Tours and Events – We pride ourselves on teaching both visitors and local residents about Guam’s unique agricultural heritage through exciting, memorable, and hands-on experiences. Throughout the year, The Valley of the Latte Adventure Park offers educational tours for schools and small groups. It’s a great way for students to learn about the history and future of the crops we grow in our island home—and best of all, it’s fun!